Terry Clarke-Coyne comes from arguably the most eminent Liverpool Irish musical family. His father, Eamon Coyne Sr, came to Liverpool from Co. Roscommon at the end of World War II, and became fiddle player with the great Liverpool Ceili Band of the 1950s and 60s. He was instrumental in setting up the Liverpool Irish Centre at 127 Mount Pleasant, teaching the music and dance to a new generation, including his three sons: Mick, an uilleann piper, Eamon Jr, fiddler, and Terry, concert flute and whistle player. All three sons have become prominent traditional players, with Mick having latterly moved back to Ireland and Eamon Jr having emigrated to Boston, USA. 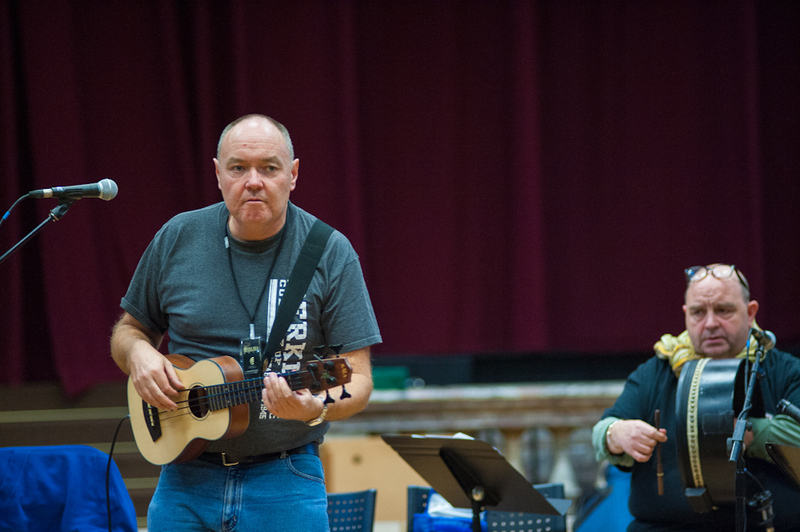 Terry has remained close by, as a professional musician, a music and dance tutor, and a teacher of design and engineering. The old Museum of Liverpool Life held a display on the Coyne family’s role in the City’s music, including Eamon Sr’s fiddle and Terry’s first flute. 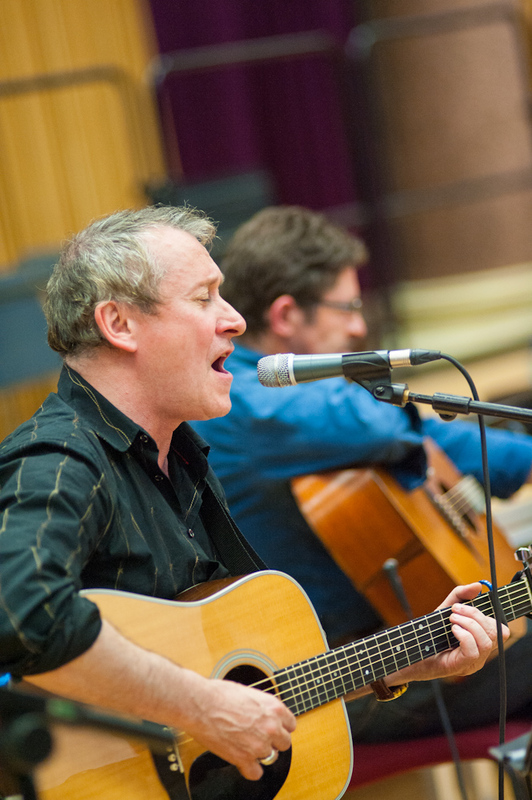 Terry has toured the world playing with Garva, the great singer Niamh Parsons, and with guitarist Philip Masure. Alan Burke is one of the finest ballad singers of his generation. Born in London to Irish parents and originally a rock drummer, Alan made his name in traditional circles as the lead singer, guitarist and bodhrán player with Afterhours in the 80s and 90s. Alan has lived in Belfast and is now settled back in Dublin. He has become a fluent Gaelic speaker, with an almost inexhaustible repertoire of songs and a driving guitar technique. His powerful style has seen him feature with numerous bands including At First Light, and the recent Afterhours Bothy Band Tribute project..
first solo CD, About Time was widely acclaimed; the follow up, Banjo, will be released next month. Guitarist Frank Kilkelly grew up in Castlebar, Co. Mayo. He learned his craft playing in countless pub and house sessions in the west of Ireland. Traditional Irish music and swing jazz are his two main influences. Now resident in Co. Galway, he is much in demand for work both in Ireland and abroad. 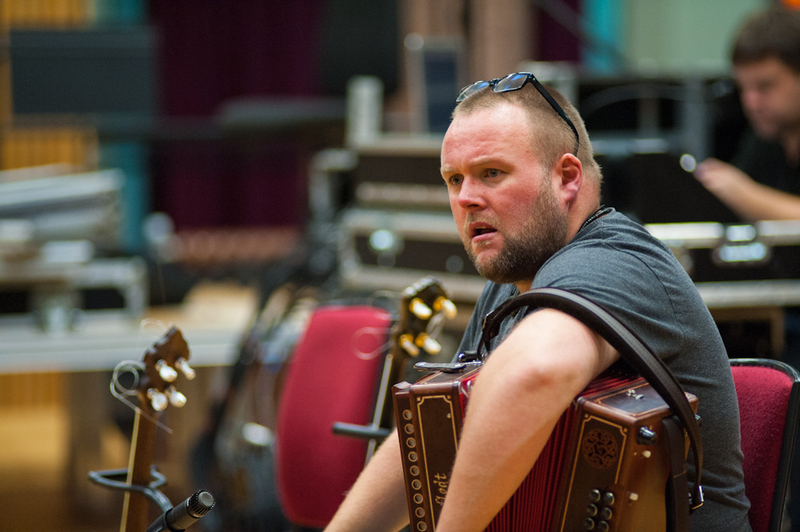 He has worked with The Boys of the Lough, singer and piper Christy O’Leary, button accordionist Luke Daniels, harmonica-player Brendan Power, Irish and piano accordionist Alan Kelly, who features on the soundtrack to Accompanying Irish Music on Guitar, the highly successful instructional book and CD that Frank developed. Gino Lupari ‘the king of the bodhrán,’ is the front man of the band Four Men and a Dog. 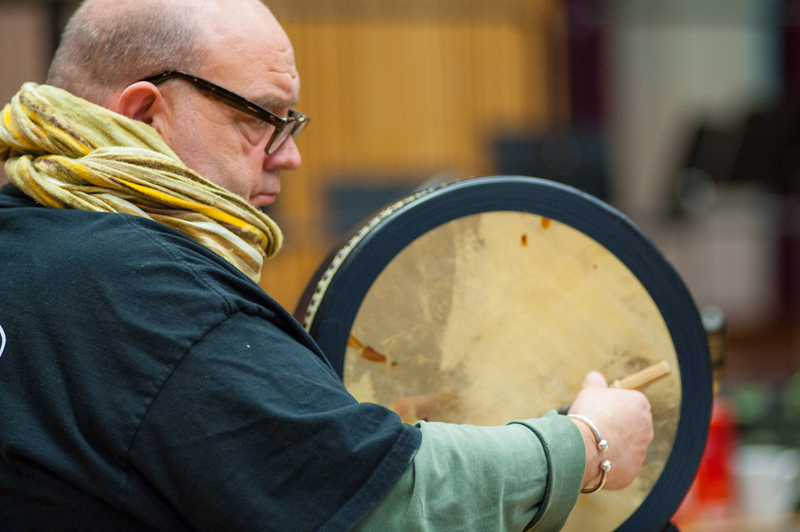 As a percussionist and vocalist he has recorded and performed with Sinead Ó’Connor and Shane McGowan and the Popes, and appeared in the BBC drama The Passion. A man of great charisma, if he weren’t such a fine musician he’d undoubtedly be a comedian! 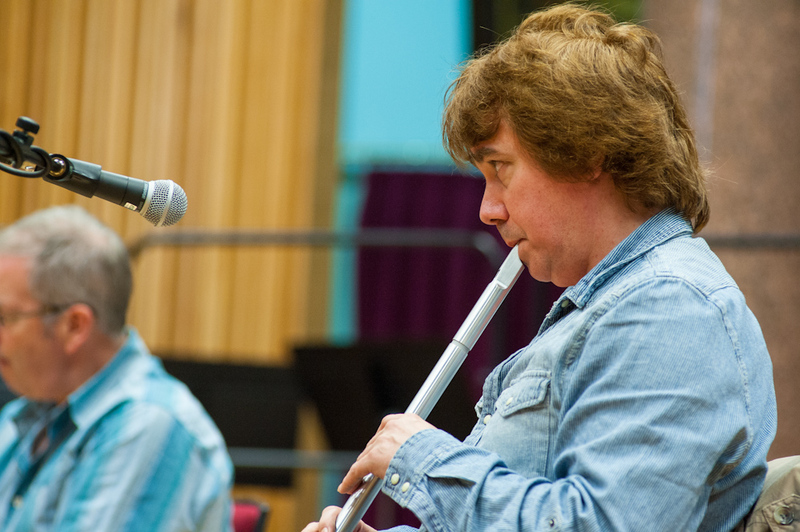 John McSherry is hailed as one of the finest exponents of uilleann piping in the world. He has taken piping and whistle playing to new heights with his unique style. Winner of two All Ireland Championships and the prestigious Oireachtas Piping Competition, John has been a member of several outstanding bands including Tamalin, Lunasa and Coolfin. 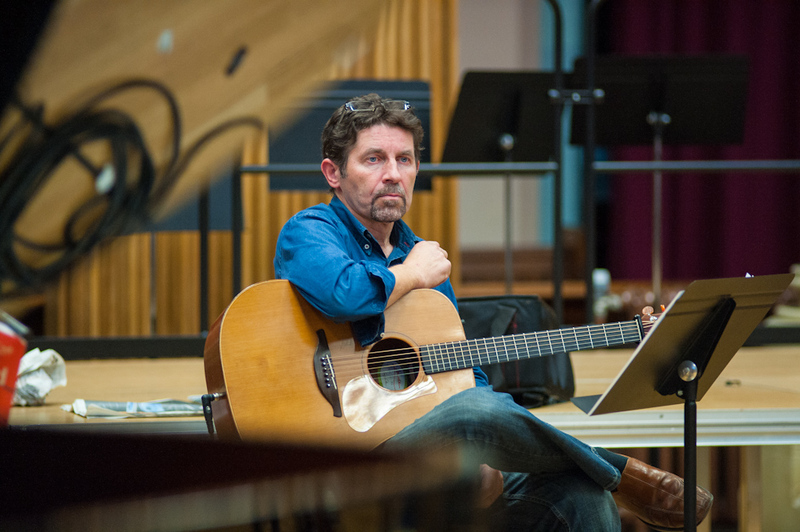 He is a composer, producer, arranger and an established studio session musician of world class renown, recording and performing with everybody from Clannad and Donal Lunny to Nancy Griffiths and The Corrs. His current bands, At First Light and Olllam , are at the very forefront of developing the tradition. Hailing from Belmullet, a small town by the sea in Co. Mayo, Dave is known for his colourful style which entails bold bass fingerings, complex arrangements and modern compositions. 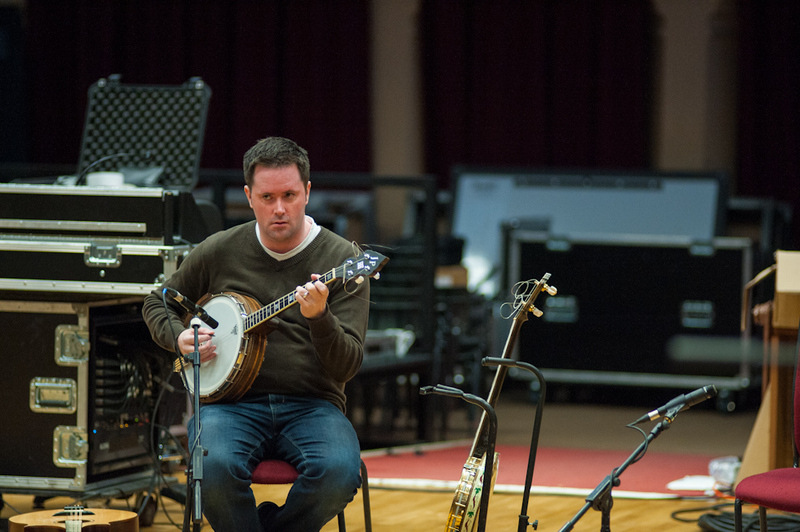 This unique style led to him recording and touring with some of the greatest Irish bands and musicians of the last few decades including The Chieftains, De Danann, Gerry O’Connor, Arty McGlynn and Sharon Shannon. He formed the David Munnelly Band in1999 and began a thirteen year journey with his own band touring Europe, America and Japan and recording four critically acclaimed CD’s. His most recent release is a duo CD with Mick Conneely. Lizzie Nunnery’s reputation as a captivating new voice in British folk continues to grow. BBC Radio 2’s Mike Harding listed her debut album in his top 10 albums of 2010. Now she has a brilliant new release, with multi-instrumentalist Vidar Norheim, called Black Hound Howling. 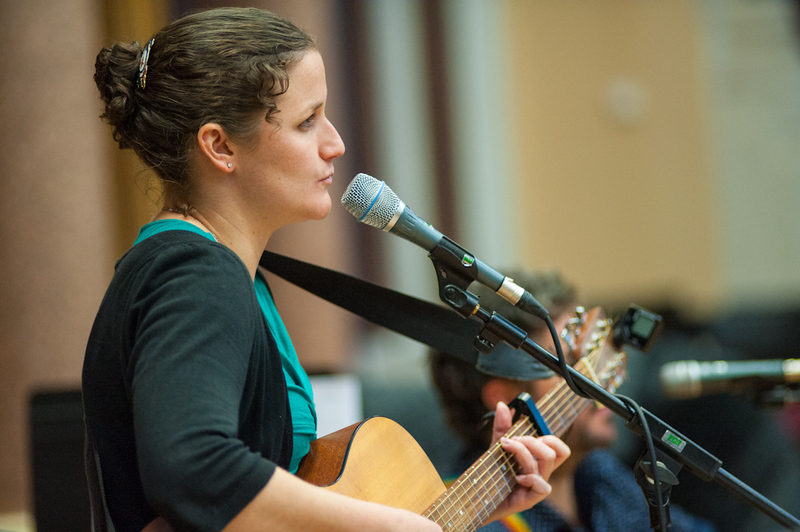 Lizzie has played at folk festivals and venues across the UK. She is a also an award winning playwright and her most recent stage play, The Swallowing Dark, transferred from the Liverpool Playhouse to London’s Theatre503 for a month long run. She has had numerous radio plays and adaptations broadcast on BBC Radio 4. Belfast-born Méabh first took up the fiddle while attending Bunscoil Phobail Feirste, Andersonstown. She undertook music studies at University College Cork where she immersed herself in the local session scene and recorded an album with 17 fiddles-and-piano group Fiddle Sticks. In 2000 she received the TG4 Young Traditional Musician of the Year Award. She also played and toured with Dublin based flute player Conor Byrne, recording the album Bavan. Along- side her musical career she enjoys success as a film producer, director and TV presenter, and has worked on Irish language TV projects on subjects including traditional music. Ian Prowse is a singer/songwriter from Merseyside. He is founder and front man of Pele, and now fronts the band Amsterdam. 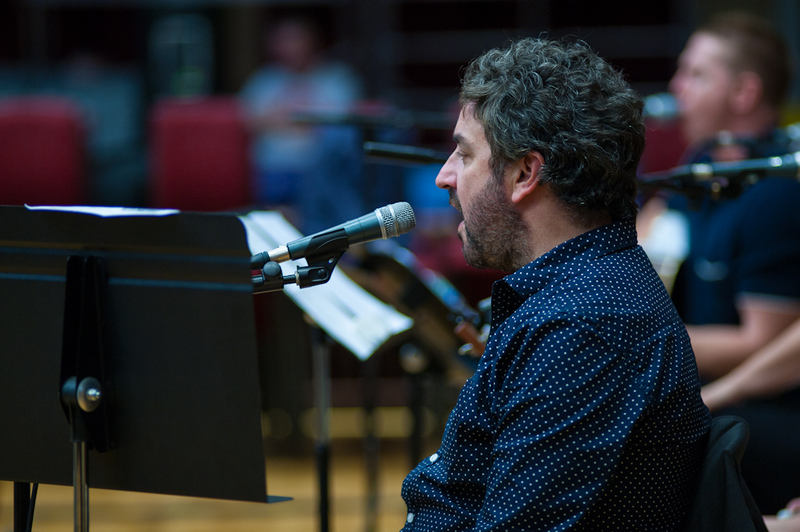 2012 saw the release of the much anticipated Best Of Ian Prowse CD, a career retrospective covering Ian’s music from both bands. He also appeared as a guest with Elvis Costello and played a unique sold out concert on the Mersey Ferry. 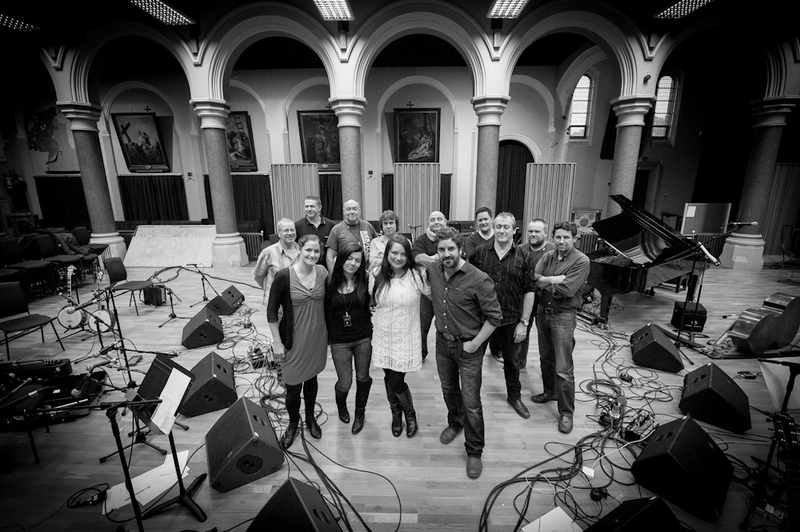 Christy Moore has covered a Prowse-penned song and appears on Amsterdam’s most recent album. In his spare time in recent years, Ian has written a Masters dissertation on Christy Moore’s role in Irish music..
Pauline was vocalist with the Sharon Shannon Band for three years and has collaborated with artists including John Spillane, Barry Kerr, Damien O’Kane and Damien Dempsey. A successful solo artist, she was nominated for best Folk/Trad Meteor Award in 2004. In 200, along with fellow West Kerry chanteuse Éilís Kennedy, she formed the vocal duo Lumiere and subsequently signed to Sony Records in Ireland. Lumiere offer a distinctly feminine sound and feel, where voice is the primary instrument. More recently Pauline presented a television documentary directed by Méabh O’Hare concerning the songs of the 1916 rising. At the centre of the programme was a song that she wrote about that event. Pauline has three critically successful albums to her credit as well as extensive touring experience all over the globe. 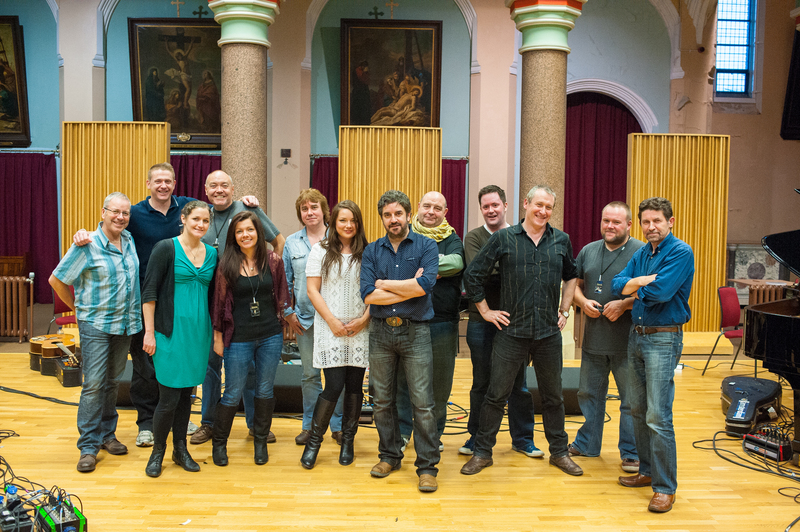 Welcome… to the 2012 Irish Sea Sessions! This is the third year in which we have invited some of Liverpool, Ireland and the Irish diaspora’s finest traditional musicians, singers and songwriters to gather on Hope Street and share music that celebrates Liverpool’s links with Ireland. 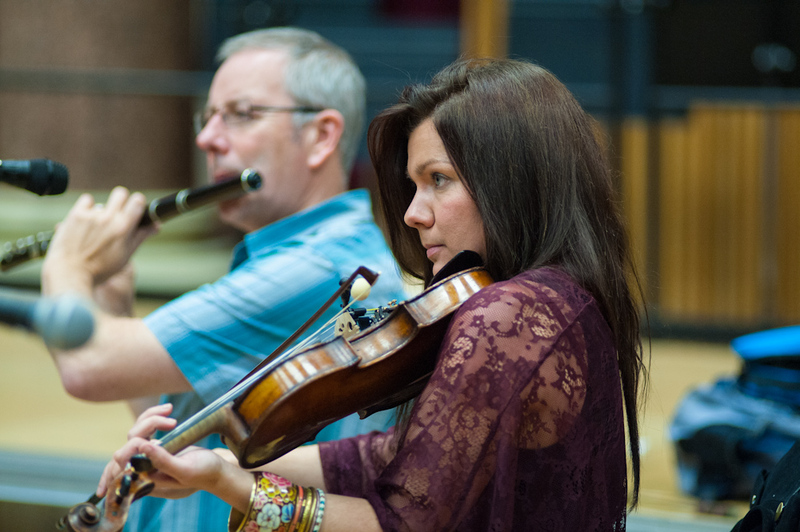 Our 13-strong ensemble have been working by day at Liverpool Philharmonic at The Friary, our rehearsal and education centre in West Everton, and at night animating other events and sessions as part of Liverpool Irish Festival 2012. Thank you for joining us once again as we hear what has been developed by the musicians over these few days. 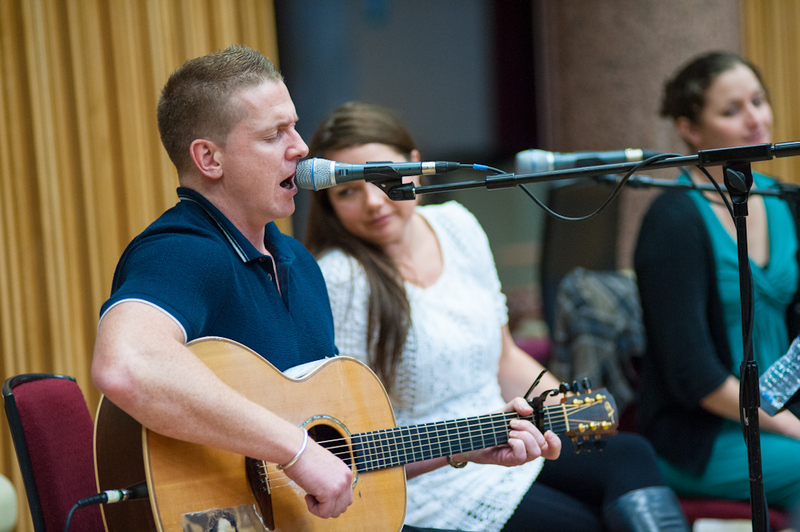 During the past 12 months some musicians from the Irish Sea Sessions have, with support from Liverpool Primary Care Trust, been working with young people from North Liverpool Academy in a songwriting project, which had its own Session concert at The Friary earlier this year. Other musicians from the project were invited to appear at the City Vigil on 12th September this year; others also performed at Hope Street Feast to give a sample of what you might expect to hear tonight. We’ve taken a gentle approach to squad rotation this year. We welcome two new faces: singer Pauline Scanlon, well-known as part of Lumiere; and Frank Kilkelly who, quite literally, wrote the book on accompanying traditional Irish music on guitar. 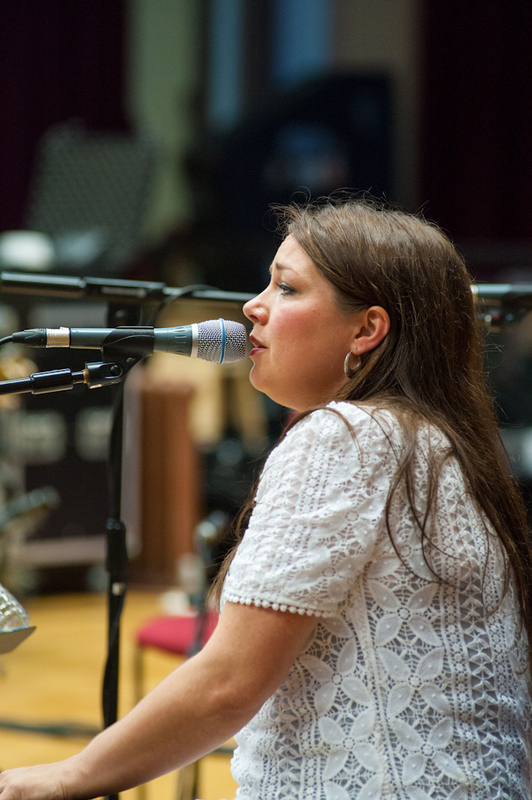 We’re also delighted to welcome back Lizzie Nunnery, who was central to Irish Sea Sessions 2010. SPOILER ALERT: If you don’t want to know about the song choices for this year, don’t read on! 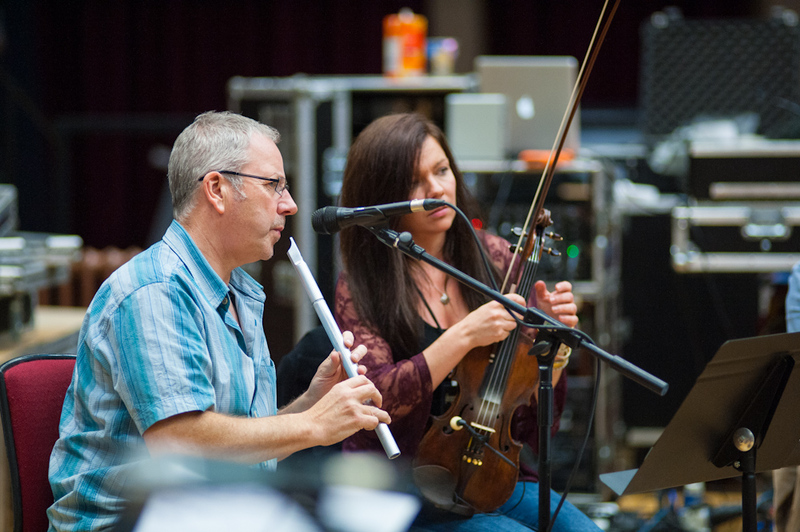 The Irish Sea Sessions has developed its own traditions and ceremonies in just three years, with the same opening and closing numbers; this year we have different arrangements of these. We will also hear the slow march 15th April 1989, commissioned by Joe Anderson, Mayor of Liverpool, composed by Terry Clarke-Coyne to mark the reporting of the Hillsborough Independent Panel last month, in a week that has seen more pivotal events concerning the tragedy. That’s followed by Liverpool-born Steve Tilston’s exquisite song about the rebirth of the city, The In-Between Years. In tribute to the 50th anniversary this year of perhaps the greatest Liverpool Irish band, we have a Beatles song for the first time in the Sessions. There are brilliant new songs from Ian, Lizzie and from Damien Dempsey, with the title track of his new album, as well as another Hughie Jones classic, some beautiful songs in the Irish language, a murder ballad, and an Irish Sea Sessions comparison of songs Liverpool and Irish girls … all surrounded by wonderful tunes. We hope you enjoy the Irish Sea Sessions 2012! 2011 Irish Sea Sessions CD Now Available To Order! The second Irish Sea Sessions CD, from the 2011 Liverpool gig, is now available to order from this link. It will also be available at the concert in Liverpool next week. Irish Sea Sessions at North Liverpool Academy! Later that night, Méabh and Gino joined up with guitarist John Chandler, and opened the show at St George’s Hall Concert Room, a sold out event with Michael McGoldrick, John McCusker and John Doyle, reviewed by lovely Liverpool Confidential here. 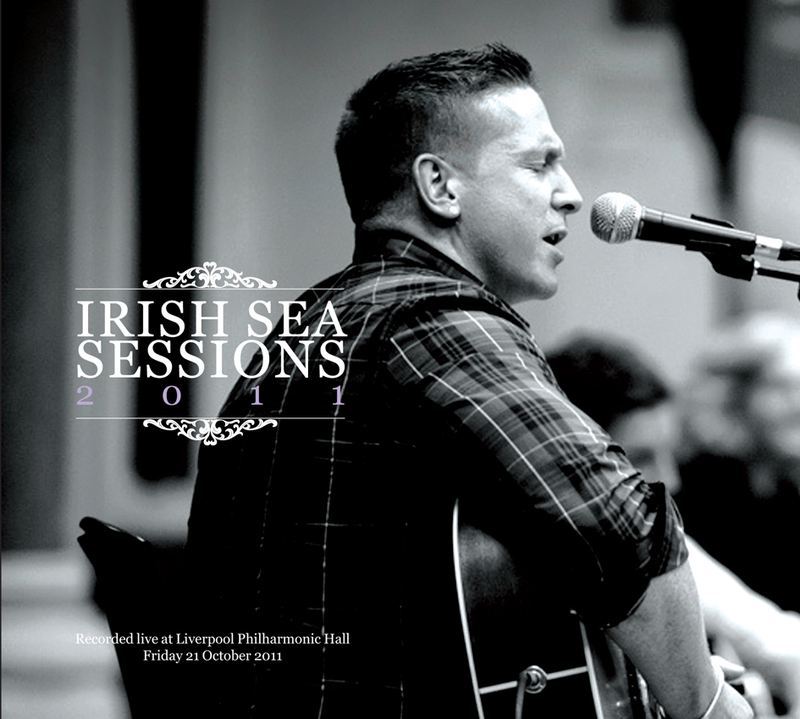 The 2012 Irish Sea Sessions concert at Liverpool Philharmonic will take place on Friday 19th October. Tickets are now on sale – you can buy online here. The aftershow will take place at a club venue very close by and will include special guest artists: a limited number of inclusive tickets are on sale. VIP tickets, whcih include box seats at Liverpool Philharmonic, include access to the aftershow. With other ticket purchases you can add the aftershow for £5 at the time of purchase, or £10 later on or on the door. The festival hotel is the Hope Street Hotel. We hope to make further announcements of concerts across the Irish Sea in early spring.